Even the toughest athletes need to chill out every once in a while. 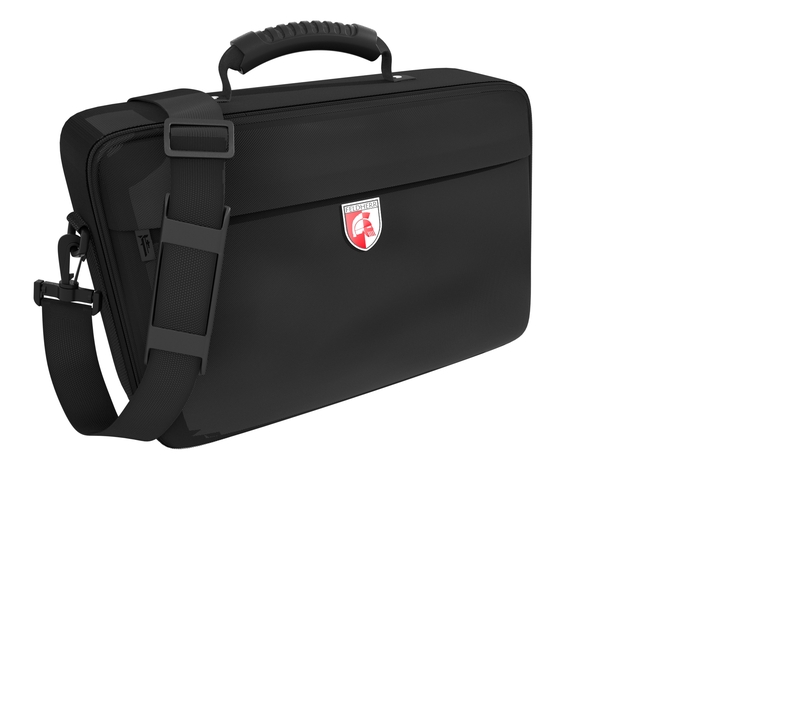 In order for your players of the 2016 Blood Bowl edition to get a good rest after the match, we recommend our Feldherr MEDIUM bag. 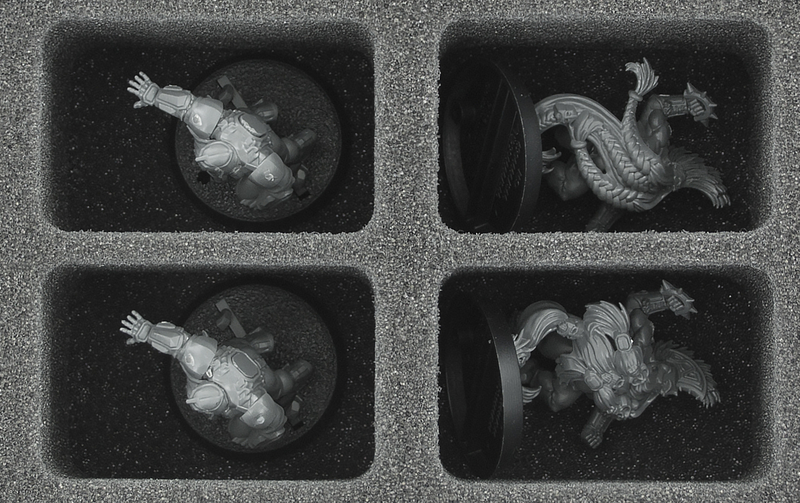 The Set includes which three custom foam trays for up to 54 Blood Bowl miniatures on 32 mm bases and a robust MEDIUM bag for safe and easy transport. Provides Order. 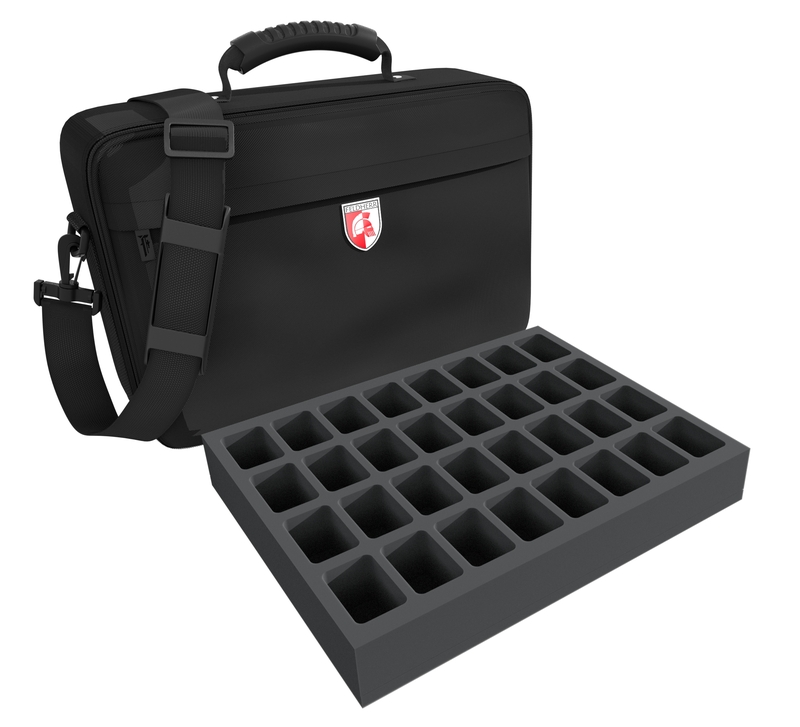 1 Full-Size foam tray with 32 compartments, 2 Half-Size foam trays with 10 and 12 compartments respectively. 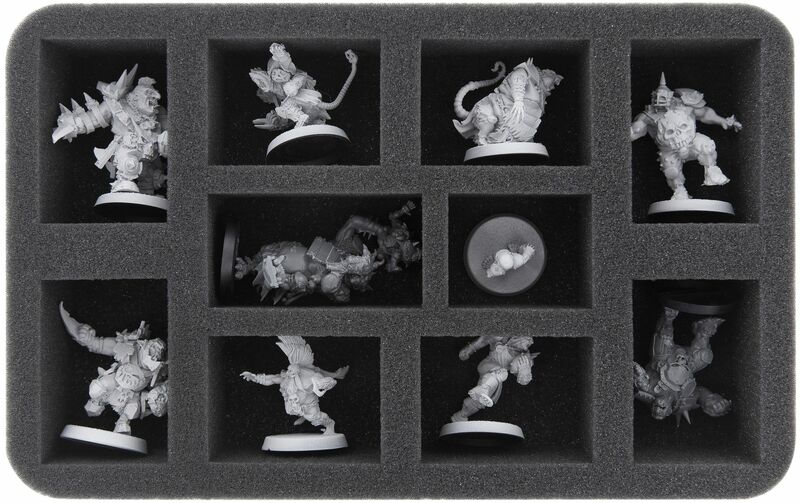 Up to 54 miniatures are thus clearly organized and always within reach. 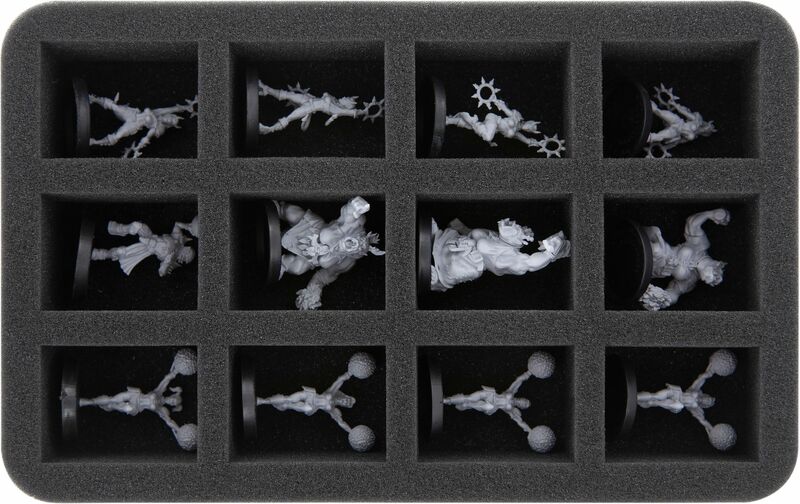 The Half-Size foam tray with 10 compartments is especially suitable to hold larger figures like Star Players. 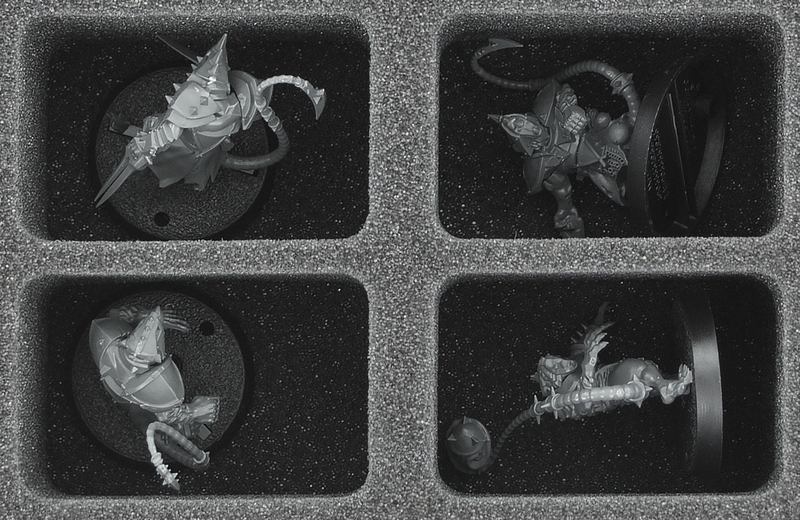 Of course, the trays can also accomodate other game material like extra balls, team counters or dice. Offers Protection. Our fine pored Feldherr foam gently caresss your athletes and protects reliably against breaking parts and scratched paint. Facilitates Transport. 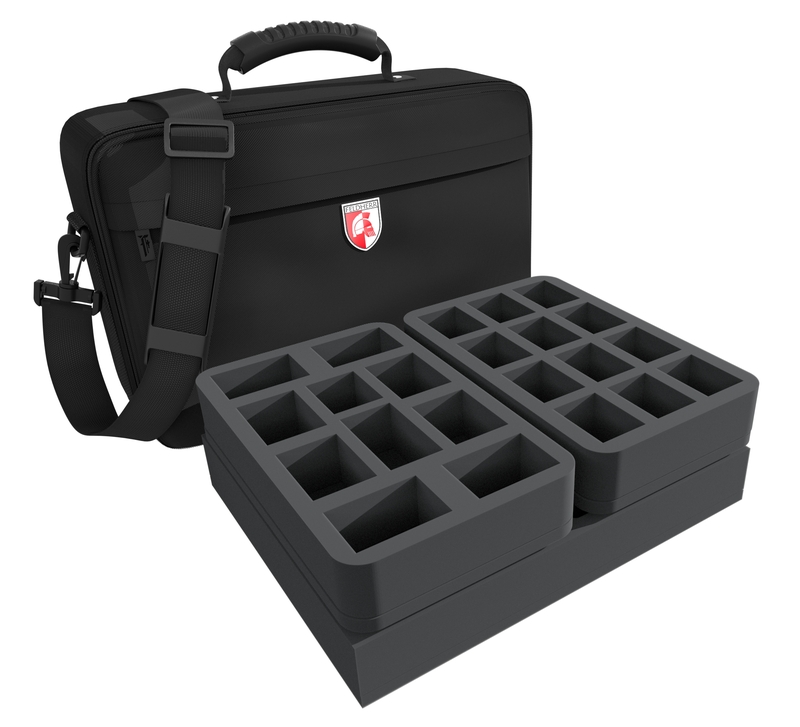 The stackable foam trays fit exactly into the sturdy MEDIUM bag. 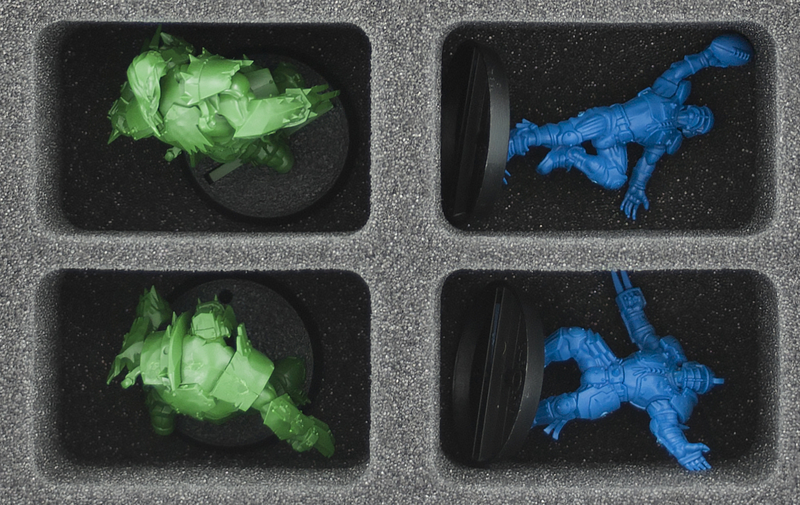 For additional protection of your miniatures, the Set comes with a matching foam topper which keeps the game components from falling out of the trays.